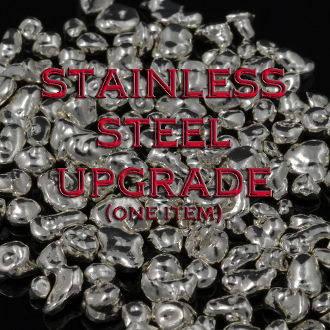 We recommend upgrading to stainless steel if you are hard on your jewelry, don't want to deal with tarnishing sterling silver or have metal allergies or reactions. Stainless steel is very durable and should have a longer wear life than standard sterling silver. It is hypoallergenic for those that have nickel sensitivity and won't turn your finger green for those who have reactions to copper in sterling silver. Stainless steel will appear a little more gray than sterling silver. Here is a photo to show the difference in color. If you like the whiter color of sterling silver, we also offer a new sterling silver alloy that is both tarnish resistant and harder than standard sterling silver. Read more about the benefits Continuum sterling silver. 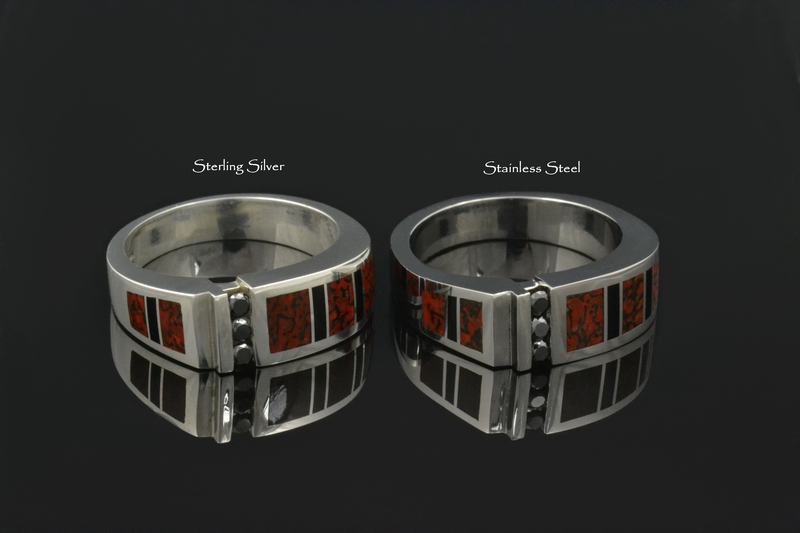 *This stainless steel upgrade is for one (1) ring or pendant.